In high school I went hiking up Mount Greylock once – just once! My friends thought it would be more fun to hike the power lines rather than a regular trail… It was probably one of the stupidest things I have ever done because I nearly died… I found myself at one point literally hanging by fingertips off of a cliff and I needed to be pulled up by one of my friends! When we finally got to the top I was so out of it I just laid on the ground motionless … then realized we still had to go back down… I vowed never to hike again! Mount Greylock is 3,500 feet above sea level… Mount Sugarloaf is only 791 feet … but the mountain of the Transfiguration is 9,300 feet above sea level. Can you imagine Jesus saying to Peter, James and John – “hey come on we are going for a hike”? How long did it take them to get to the top? Did they stop along the way? 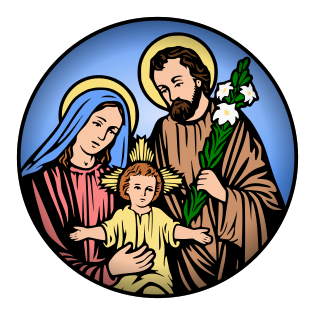 St. Luke tells us that they were overcome with sleep… no kidding! I would have passed out before we reached the halfway mark! What does that tell you about the journey? And what does it tell you about what they see when they reach the summit? After I had recovered from that climb up the power lines, I took time to look out at the valley. Beauty as far the eye could see – even North Adams! Just a magnificent stretch of the wonder of God. The climb didn’t seem all that bad in that moment. Practically, for us, the Mass – the Eucharist – this is our desert and our mountain. This is the quiet place of solitude that is at the same time rich and full of life. To get here is often difficult. Too often we are blinded by the difficulties of life to see it. Too often we are asleep inside, numb to our sins, overcome with exhaustion. Yet this is the place where God reveals to us a snapshot of His glory. Here He reminds us of our true calling, our destiny. He reminds us that while faith and life – the practice of both – may be difficult at times, at the summit He gives us rest and comfort. There is peace here – but only if we unburden ourselves, only if we let Him in, only if we awaken from within so that we can see, perceive, and encounter the glory of God right before our eyes. This is what makes the disciplines of Lent so vital, so important. They aide us in self-denial, help to us to become more humble before God – and by way of a good confession, help to unburden ourselves so as not to miss the glory of God unfolding right before our eyes.